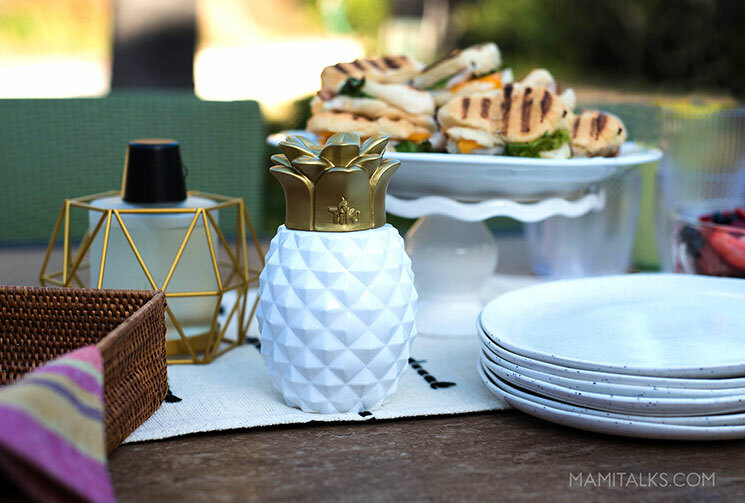 Sometimes I think of doing a dinner outdoors and I think of all the things I need to prepare and end up not doing anything. 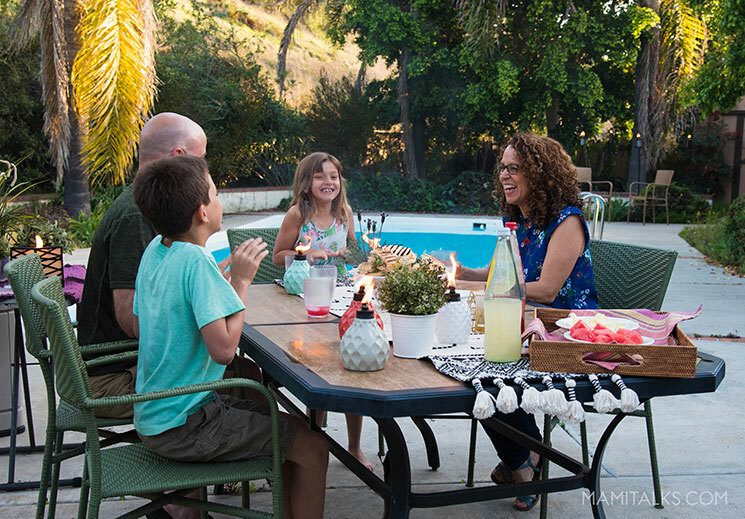 But when it’s summer, it’s fun to spend time outside, the kids just love it when I say, ok we’re going to eat outside tonight! They get really excited plus they also help more. 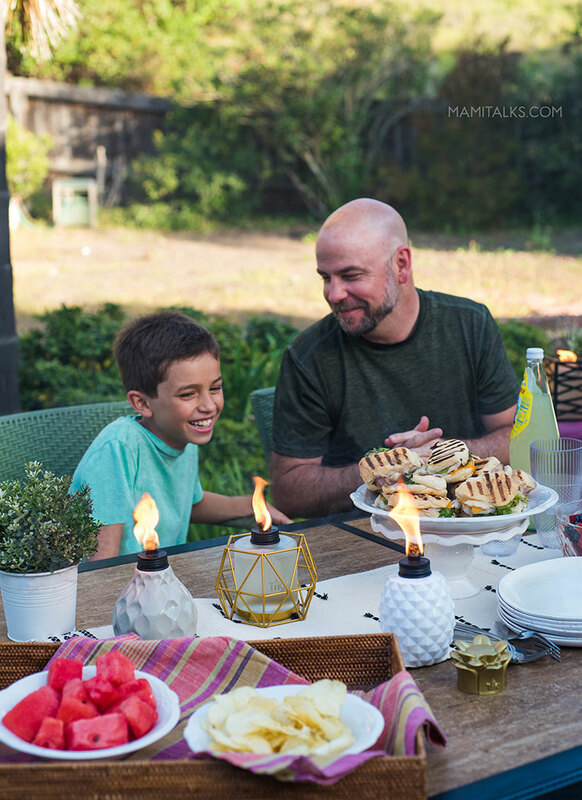 My idea of an easy outdoor dinner involves not cooking, eating a casual meal, mostly something without silverware and being able to stay out there without interruptions. So I made it happen and it is easy to replicate on many, many summer nights! 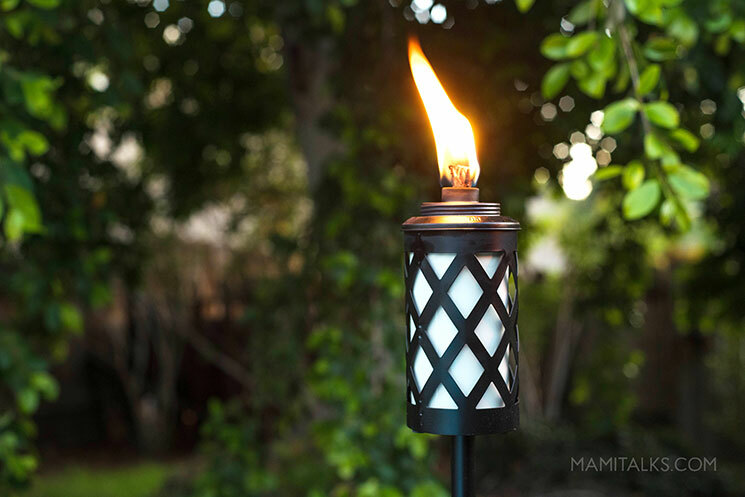 TIKI Brand has so many great table torches to choose from, I am loving the new designs! The Pineapple, Seaside Escape, and Geo are my favorites. 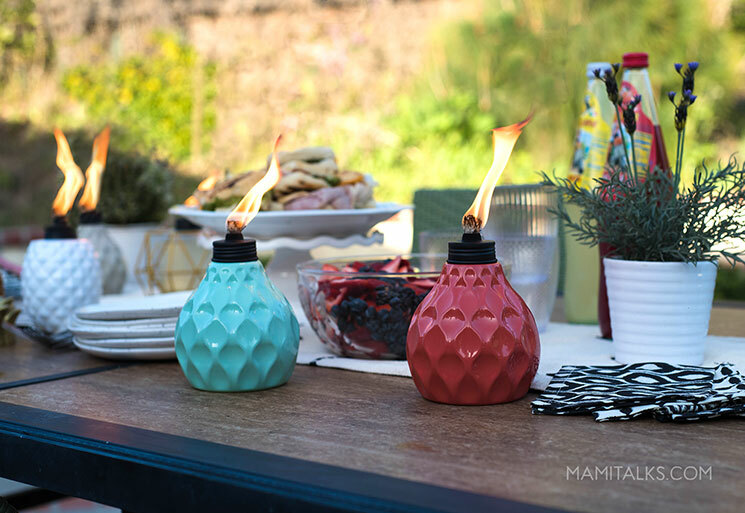 They are a must on any outdoor entertaining we do. 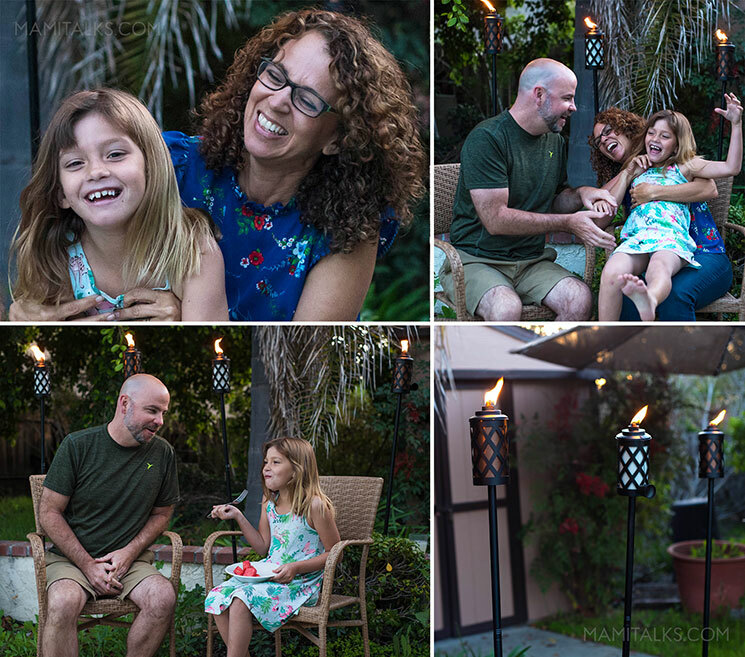 I like to use at least 3 table torches and the regular standing torches on the ground to set up the mood. 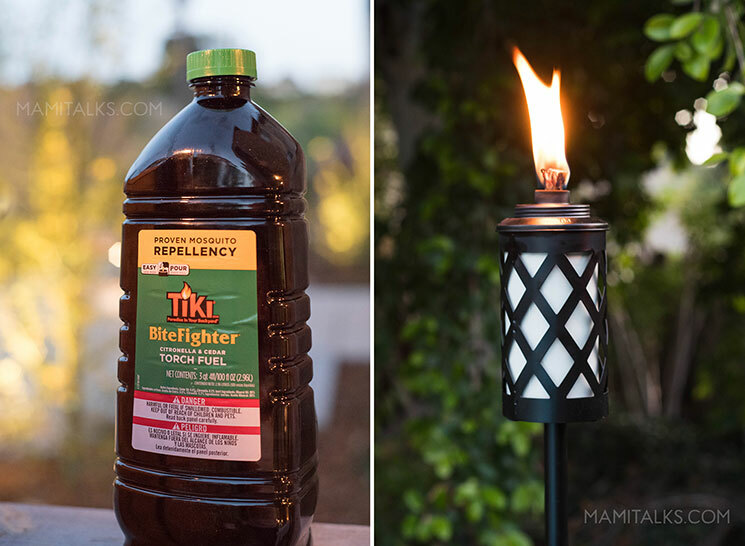 The BiteFighter fuel has an easy-pouring top and has proven mosquito repellency so you don’t have to worry about anything. 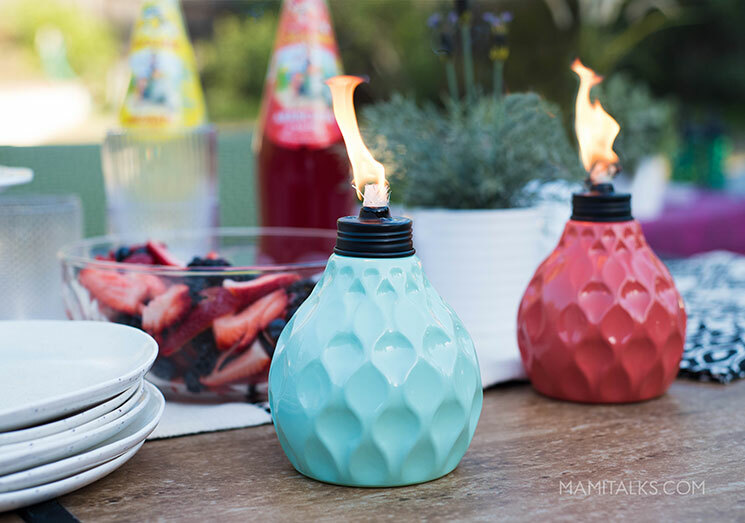 The flame will last as long as your dinner and more, so you won’t need extra light, no interruptions! 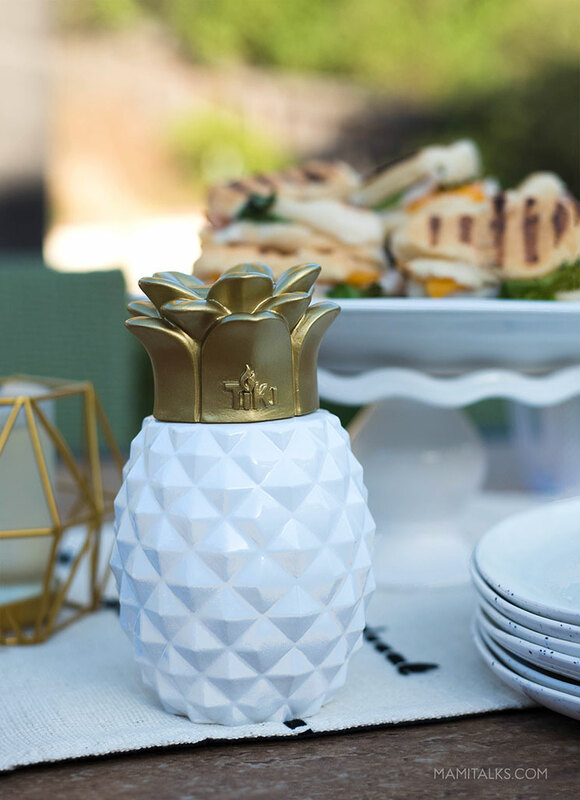 I love to decorate even if it’s just a little bit, because for easy dining you won’t want to be working too hard anyway. I bring out a nice runner, enamel plates and some cute napkins (they can be paper or cloth). If you happen to have flowers, that helps a lot and some plants as well. That’s all! 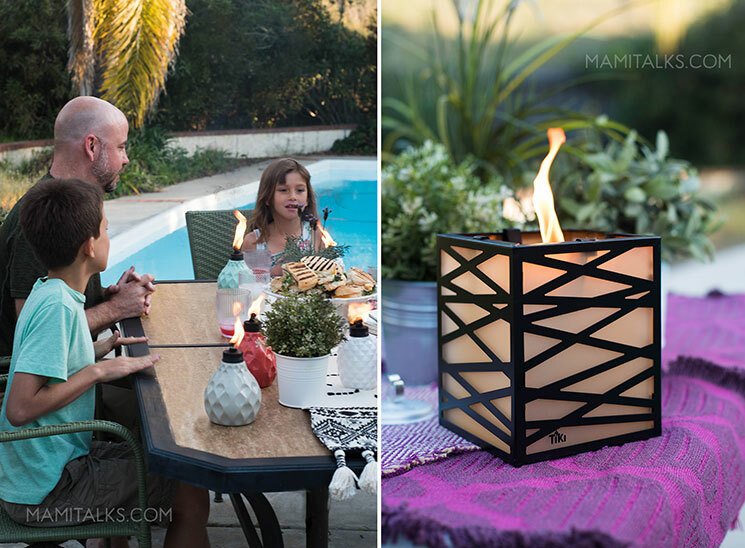 Maybe the family doesn’t realize the details, but they can definitely feel the ambiance! I decided to get little sandwiches from my closest grocery market deli. We just roasted them on the grill and what a great, easy idea! 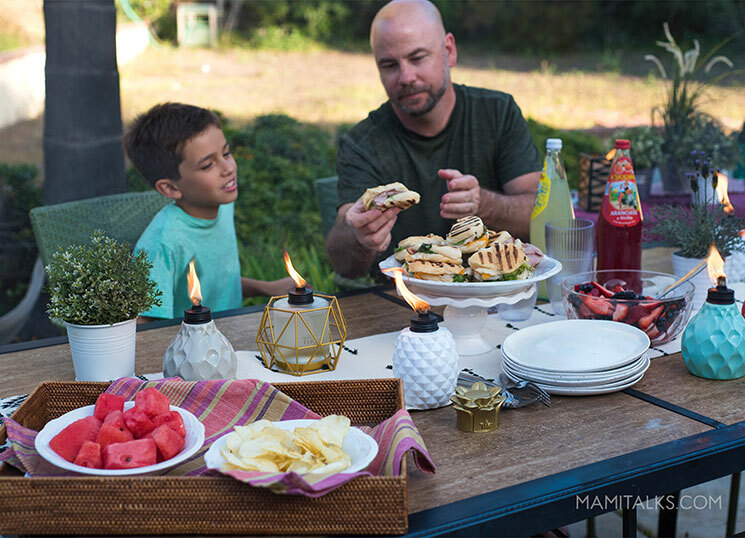 I served them with chips and fruits, the only thing I did is cut the fruit and serve it in a bowl, super easy summer outdoor dinner! It’s a great idea that I can definitely use over and over again. 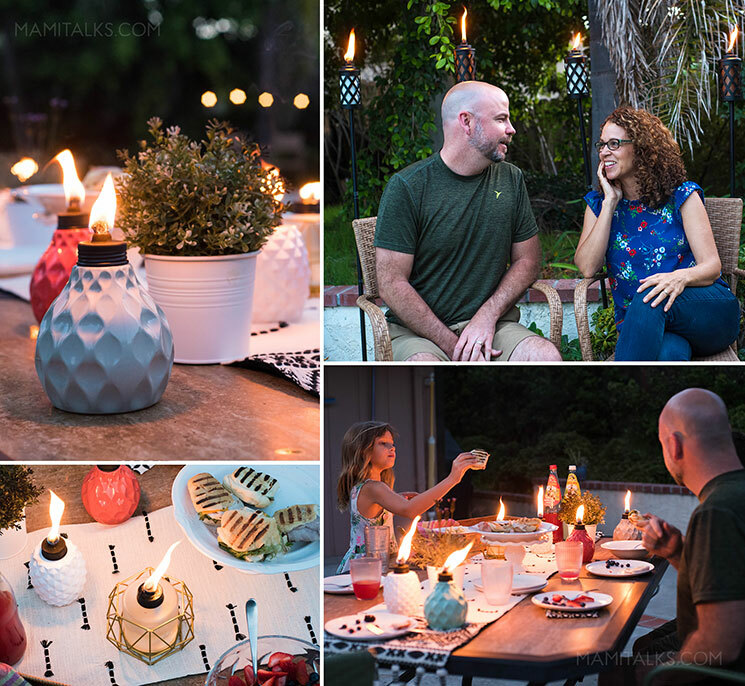 Now you know, you don’t need much to plan a super easy outdoor dinner this summer, show me what you make and how you styled it with TIKI Brand torches!! A veces pienso en hacer una cena al aire libre y pienso en todas las cosas que tengo preparar y la verdad termino no haciendo nada. 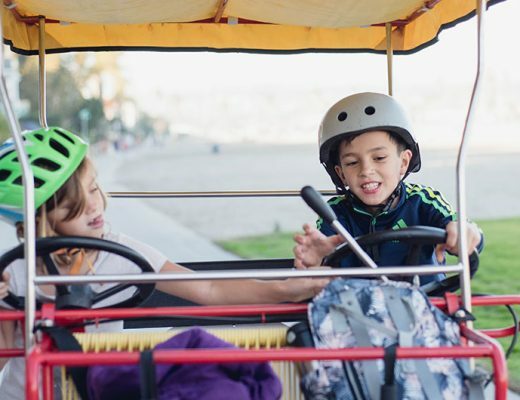 Pero cuando es verano, es chévere poder pasar tiempo afuera, a los niños les encanta cuando digo, ¡ok, vamos a comer afuera esta noche! Se emocionan mucho y también ayudan más.  Mi idea de una cena de verano al aire libre fácil implica no cocinar, servir una comida informal, sobre todo algo sin cubiertos y poder pasar el tiempo allí sin interrupciones. ¡Así que lo logré y es fácil de repetir en muchas, muchas noches de verano! 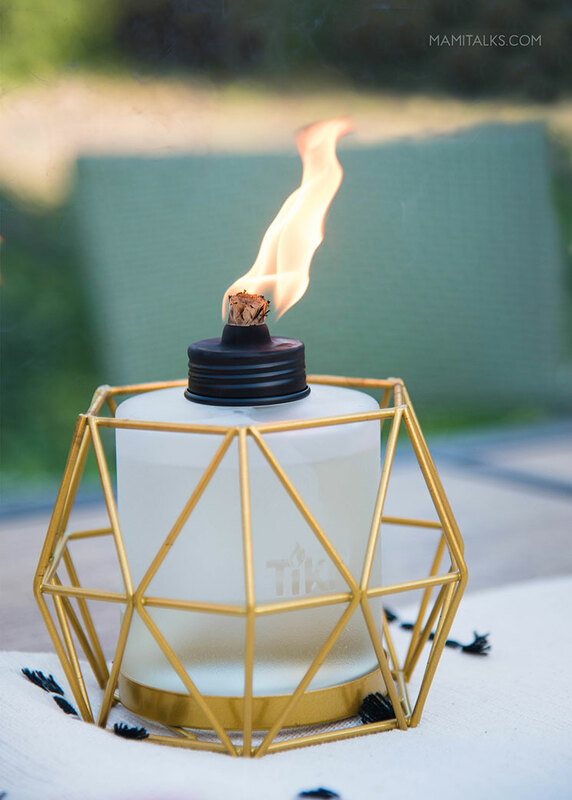 TIKI Brand tiene tantas antorchas lindas para elegir, ¡me encantan los nuevos diseños! La de la piña, la Seaside Escape y Geo son mis favoritas. Son imprescindibles en cualquier entretenimiento al aire libre que hacemos. Me gusta usar al menos 3 antorchas de mesa y las antorchas de pie regulares que se ponen en el suelo para crear ujn ambiente rico. El combustible BiteFighter tiene una tapa fácil de verter y tiene repelencia a los mosquitos comprobada para que no tengas que preocuparte por nada. ¡La llama durará tanto como tu cena y mucho más, por lo que no necesitarás luz adicional y así no tendrás interrupciones! A mi me encanta decorar aunque solo sea un poquito, porque para una cena fácil no quieres trabajar demasiado. Me encantan los mantelitos tipo corredores, los uso mucho, pongo platos de plástico y servilletas lindas (pueden ser de papel o tela). 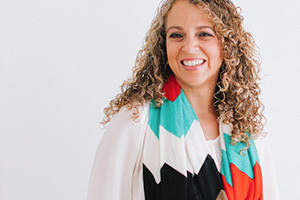 Si tienes flores, eso ayuda mucho y algunas plantas también. ¡Eso es todo! 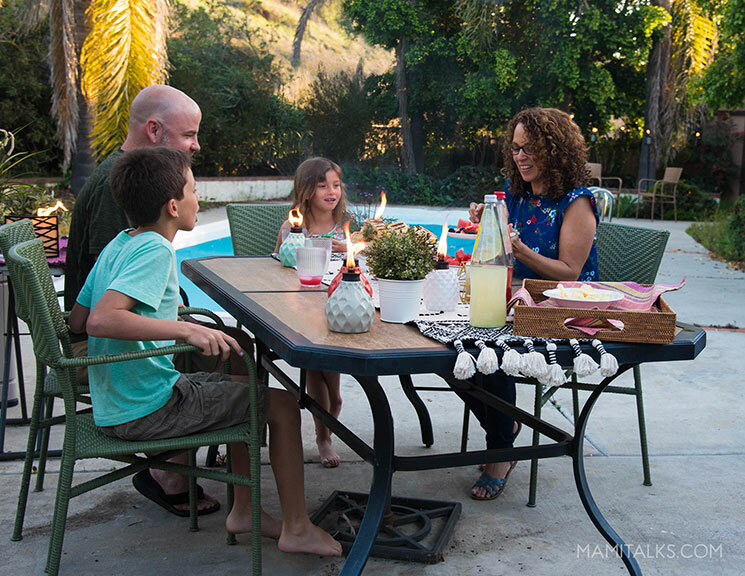 Quizás la familia no se da cuenta de los detalles, ¡pero definitivamente pueden sentir el ambiente acogedor! Decidí comprar sánduches chiquitos de el deli del automercado más cercano. ¡Simplemente los pusimos en la parrilla y qué idea tan chévere y fácil porque quedan ricos! Los serví con papas fritas y frutas, lo único que hice fue cortar la fruta y servirla en un tazón, una cena al aire libre de verano muy fácil. Es una gran idea que definitivamente puedo usar una y otra vez. 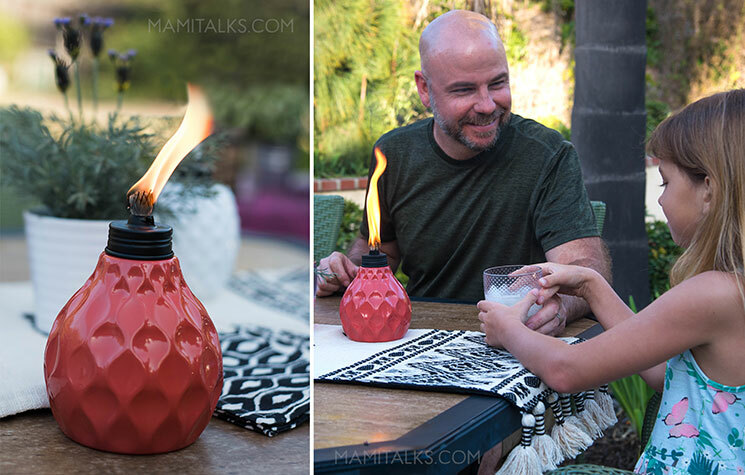 Ahora ya saben, no necesitan mucho para planear una cena al aire libre súper fácil este verano, muéstrenme lo que hacen y cómo lo diseñaron con las antorchas TIKI Brand.